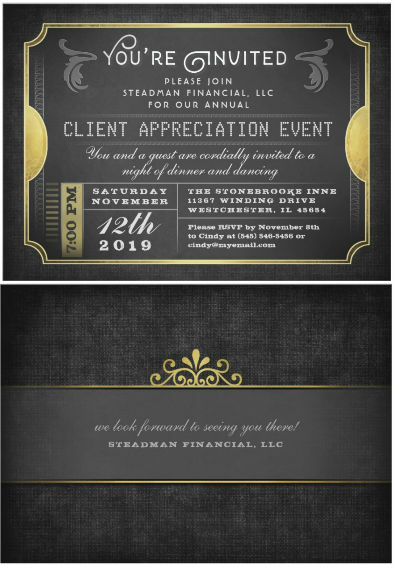 Looking for a classy and fun way to invite your clients to your next client appreciation or corporate event? 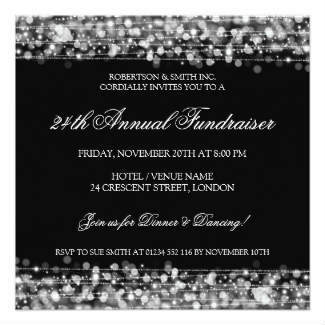 Look no further, this is a great invitation that is printed on both sides and easily customized online. $1.95 Each. 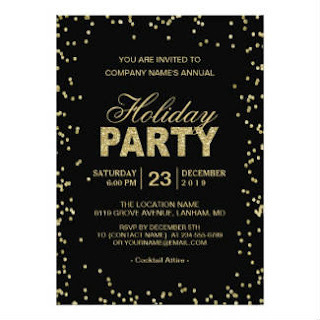 This invitation is a template that you fill out online and you can easily create your next professional invitation right away! The card is printed on both sides and sold direct through Zazzle, which features the hightest quality print and products around. 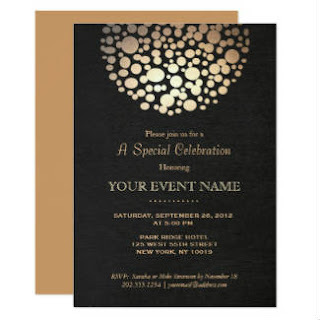 Corporate Event Black Gold Ticket Invitation A fun and classy way to invite your clients or customers to your event, easily customize your text and order direct. Regular price: $1.95 $1.95 In stock!